A Couple Reflects On A Loss From AIDS That Brought Them Together Shortly after Larry Dearmon lost his partner to AIDS in 1991, he met Stephen Mills, the man he'd eventually marry. 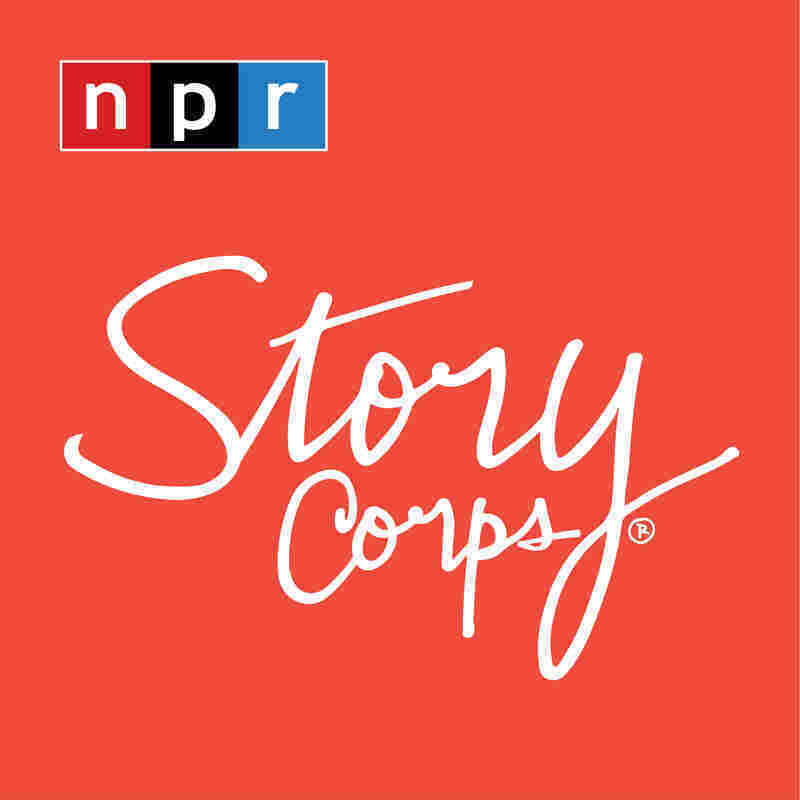 At StoryCorps, the couple talks about the impact Larry's prior relationship has had. 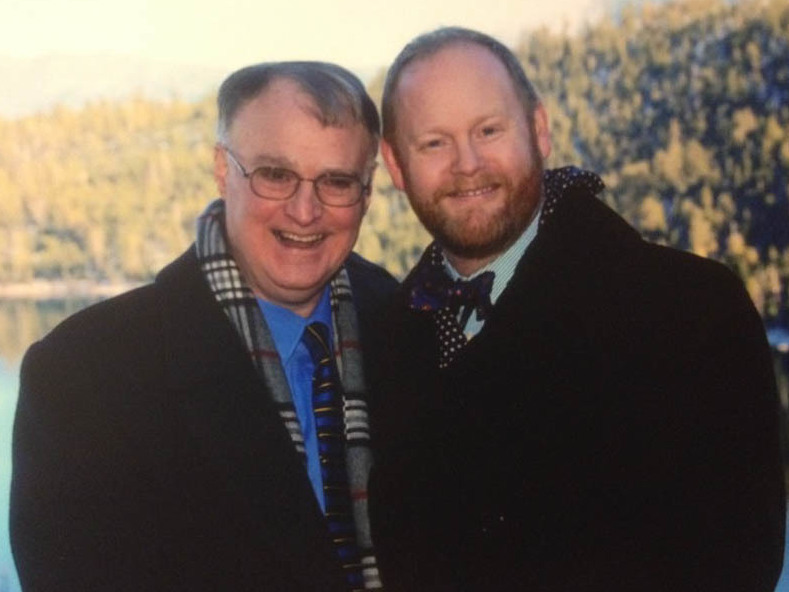 Larry Dearmon (left) and Stephen Mills pose on their wedding day at Lake Tahoe in 2013. 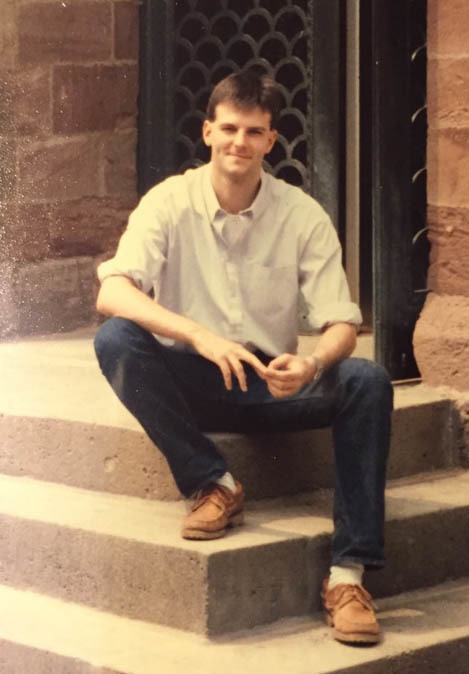 Larry Dearmon met Stephen Mills in 1992, around the height of the HIV and AIDS epidemic. In a recent interview with StoryCorps, the married couple reflects on a loss that brought them together — the death of Larry's former partner, Michael Braig, of AIDS. "When I first met him, I was in the Army, and oh, he was handsome. He was extremely intelligent, ambitious. He loved everybody," Larry says. Stephen asks him to describe what happened when Michael was diagnosed with HIV, which later progressed to AIDS. Michael Braig poses for a photo in Frankfurt, Germany. He succumbed to AIDS in 1991. "He took a test. I came in from work and he was crying, and I knew instantly he was HIV positive," Larry says. "And I told Michael, 'I'm still here, and I'm not going any place.' "
Larry's relationship with Michael was still very new at that point. They had been dating for just six months before Michael was diagnosed. "You could have cut and run very easily, but you stayed for nine years," Stephen says. Larry was Michael's caregiver up until the very end of his life in 1991. "When he died, I cleaned him up, changed his clothes and then I called his mom," Larry says. "Hardest thing I ever did." After Michael died, Larry was distraught. The couple had been living in Germany, and after Michael's death, Larry moved to Arkansas to be around close friends. "It was [Michael's] idea that I move to Little Rock afterwards, because we knew the end was coming," Larry tells Stephen. "And I moved and then a few months later, met you." Larry says he loves that Stephen does not feel threatened by his past relationship. For Stephen, his husband's dedication to that relationship makes him feel secure in theirs. That Larry stayed with Michael, caring for him, shows that "if we had rough times or if I were sick you'd stay with me," Stephen says. Stephen tells Larry that he is one of the most loving people he has ever met. "You show me that you love me every single day," Stephen says. "You tell me that you love me every single day." "Because," Larry says, "you never know how many days you have left."